Each year, the Catholic Campaign for Human Development funds 30+ CCHD interns in dioceses around the country. The internships, which begin with a national orientation in Washington, DC, provide emerging Catholic leaders the opportunity to work with CCHD to put faith in action by addressing the causes of poverty in their communities. My name is Thelma Ekeocha and in late May, I attended the recent Washington, DC orientation for the 32 CCHD interns who will work in various dioceses across the U.S. this year. I was impressed by what I learned about CCHD, which seeks to give a “hand up,” not a “hand out,” to our brothers and sisters in poverty. Another important goal of CCHD is to educate Catholics, especially those who are more privileged, about the problems associated with poverty and social justice. Transformative education creates a spirit of solidarity between the poor and non-poor. Learning more detail about CCHD helped me understand the importance of involving those who are affected by social injustices to work together in finding a permanent solution to the problems by tackling their root causes and affecting systemic change. This understanding is reflected in CCHD’s Two Feet of Love in Action, which includes doing charitable works and working for social justice. This orientation was in many ways inspiring for me. Apart from learning about CCHD’s work, we visited St. Augustine’s Catholic Church in D.C., which works with a group that has received funding from CCHD. Our meeting with the leaders from this parish reiterated again for me the importance of servant leadership. These leaders focus on systemic change by working with members of their community on issues that impact the homeless population, including preserving affordable housing options for their low-income neighbors. They reminded me of the importance of personal stories and the need to put faces to the issues, statistics, and reports we can easily get lost in. It was very inspiring and challenging for me to learn a little bit about their work and see how their Catholic faith motivates them to work for social justice. It is important to connect the work of social justice to our faith because it is our mission to serve Christ by working with our vulnerable brothers and sisters to make sure everyone’s dignity can be respected. This was very evident during the orientation. I was also inspired by the set-up of the orientation, which included beginning each day with prayer and reflection on some of the saints who loved Christ by serving others. The time we were given to reflect helped me understand even better what our motivation for working for social justice is. It’s about recognizing and upholding the dignity of every person. After the reflection, we were commissioned as Christ commissioned the apostles to go out into the world. We were sent together, as a community of servant leaders to go back to our different dioceses and work to address and eliminate the root causes of domestic poverty in any way we can. 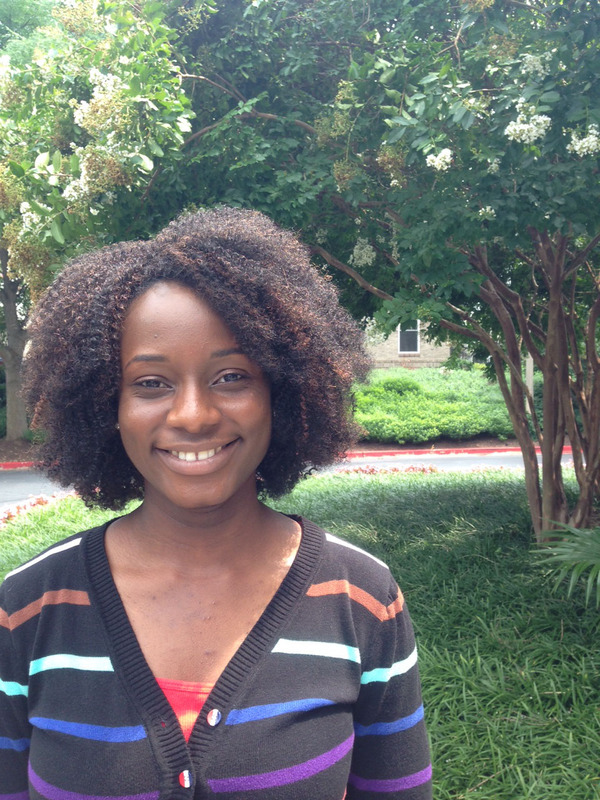 Thelma Ekeocha is a summer intern for the Catholic Campaign for Human Development at the U.S. Conference of Catholic Bishops. ← Saint Kateri Tekakwitha, inspire and walk with us.